Kelly originally started her career as an educator in Frisco, Plano, and Garland. After seventeen years in education she decided it was time for a change, pursuing her dream to become a realtor. Her educational background gives Kelly the advantage of insider knowledge that will help any clients while trying to understand the various school districts around the metroplex. Kelly brings to the table unique people skills which allow her to the ability to be soothing while negotiating with an iron fist. 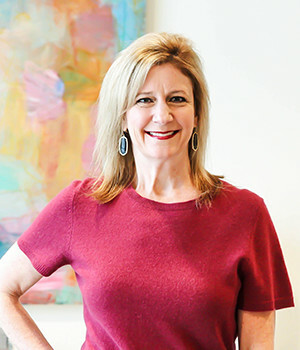 Kelly has the advantage of being a 28 year resident of the DFW metroplex area which includes an in-depth knowledge of the various cities, school districts, activities and trends in the area. Kelly uses this knowledge to ease the transition of buying and/or selling a home. Her attention to detail, communication, and people skills allow her to be sensitive to buyers and sellers’ needs and expectations. Her flexible schedule really makes clients feel like they are catered to exclusively, which is part of her charm as many of her former and current clients would agree. She is thrilled to be a part of The Associates Realty and looks forward to the opportunities ahead of her. It is an opportunity of a lifetime to be a part of the groundbreaking location at the Frisco Star! What an exciting experience it is to be a part of a boutique brokerage that provides a superior level of service. The Star in Frisco is a beautiful location with the wow-factor that will suit all of our clients. Call or visit Kelly today!